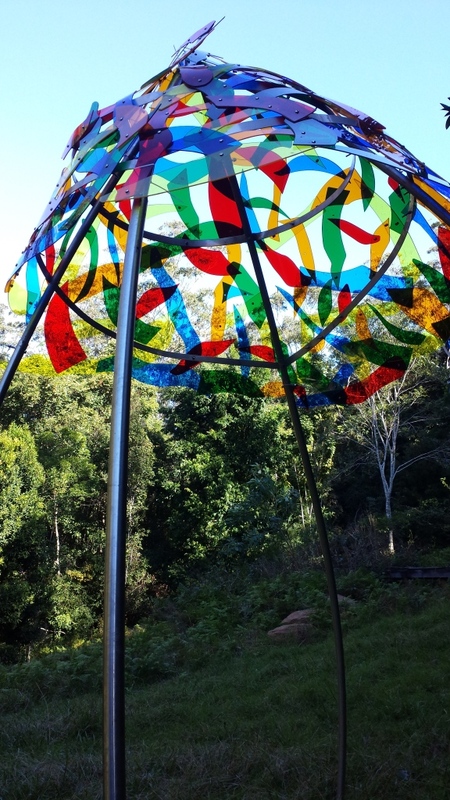 The solidity of the structure and the fragility of the leaves create a canopy of colour that transports the viewer to a higher place. The dappled light is reminiscent of the light through the trees in a forest. The intention, is to emulate Nature and to remind the viewer that they are in a place of worship.